You did an amazing job with this beautiful image. Great card. I'm staying in to wrap this weekend. Enjoy your weekend. Love - love this image and all the beautiful colours you chose! Gorgeous card! WOW this is fabulous! I love her hat! The die is fabulous too. Gorgeous card! 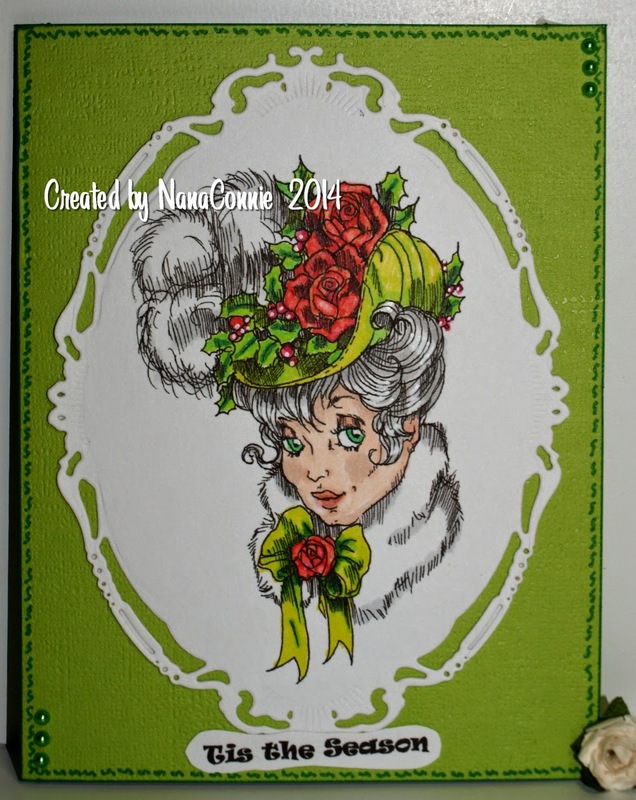 Love that Spellbinder die! Thanks for playing along with us at Scrapy Land Challenge #7! Me likes a lot, especially the Frame. What a beauty and eye catching details. Beautifully crafted. Thanks for your visit and lovely comment. WHOA! Connie, this is stunning! Your coloring is just gorgeous and love the CAS design. Great doodles too. What a wonderful Victorian feel with this great image. Thanks for joining us this week. Nc that is a beautiful image and card :) Love her green eyes!! Wow, this sure is gorgeous!!! Great colors. Thanks for joining us this week at Sweet Sketch Wednesday 2. Fantastic job on the coloring. I like that you used different shades of the traditional colors. Thanks for joining us at The Crafter's Café for this challenge. What a great vintage Christmas card, love the festive colours. That's a great die you've used I have it as well and just love it for elegant cards. 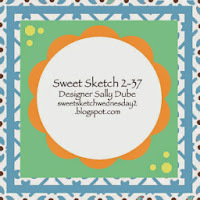 Great card and thanks so much for sharing your talents with us over at Sweet Sketch Wednesday 2 and good luck. Ooh, la, la...beautiful image and wonderfully colored. I love hats and this one is gorgeous. Wish we all still wore them. What a wonderful vintage feel this card has! Thanks for getting sketchy with us over at Sweet Sketch Wednesday 2. This is a wonderful creation with great attention to detail and perfect for our ‘CELEBRATE SOMETHING NEW’ challenge. Thanks for sharing your talent with us. Good luck. So beautiful!!!! just love the great die from Spellbinder!!! You have a knack for making me want more :) Love the colors you have used. Beautiful card! I love your colour choices! Thanks so much for playing along with the RSD Progressive Challenge. Thanks for joining us at Dragonfly Dreams and I hope you will continue to play with us next year! I would like to take this opportunity to wish you a Very Happy New Year!